While most teams are packing up their paddles for the winter, there are those that travel to Orlando for one last paddling adventure of the season. The Walgreens Orlando International Dragon Boat Festival Presented by PepsiCo attracts recreational and competitive teams from all over North America and has been the catalyst for many new team start-ups in the Orlando area. Teams travel internationally just to participate in the event and to compete against the continent’s best. Building on the growth and popularity of the festival, the 7th Annual Walgreens Orlando International Dragon Boat Festival Presented by PepsiCo has made the move to Turkey Lake at Bill Frederick Park. Teams will experience a new expansive site and premier racing like no other with the venue change. Through our partnership with Universal Orlando® Resort, participating teams receive deals on Universal Orlando® Resort tickets, special discounts on Universal Orlando® Resort Hotels and enjoy free shuttle service to and from the races. Join us for the premier end of season event! To register for the ultimate festival destination in North America, click here or call us at 416-962-8899. The 7th annual festival will sell out so be sure to reserve your spot early! Women Playing For T.I.M.E. and MD Anderson Cancer Center Orlando are the charitable beneficiaries of this festival. This years’ event is expected to attract over 1,500 team participants and 10,000 spectators. 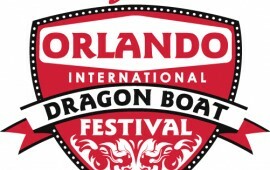 The DBC participates in and offers many training and other dragon boat-related opportunities throughout the year. For more information on upcoming training and other events, please contact Joe. We hope to see you on the water soon! © Copyright 2012, HEARD! Marketing.